Pitney Bowes South Africa, a leading provider of customer communication solutions, in partnership with ARX Cosign, the market leader in digital signature technology, has launched a powerful, integrated solution which streamlines and digitises document signing processes. This new, ground-breaking technology – called ‘CoSign Click’ – is set to revolutionise how companies ‘on-board’ new customers. This is achieved through the elimination of the cumbersome and time-consuming manual process of printing out forms, signing in pen, scanning and uploading or emailing the document. 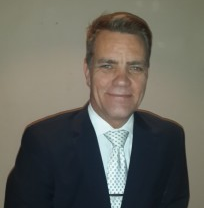 Leon van der Merwe, business development manager at Pitney Bowes South Africa, explains: “Co-Sign Click is a digital signature solution which enables a company’s customers to sign on-line documents and forms electronically without them requiring a digital signature or any hardware signing device. Pitney Bowes is the first company to introduce CoSign Click to South Africa, and is excited to introduce the numerous benefits of digital signature technology to local businesses. “In South African law there are certain statutes that require a signature before a document can be considered valid. If this signature is to be applied electronically, the Electronic Communications and Transaction (ECT) Act of 2002 refers to an ‘Advanced’ Electronic Signature (AeS) and is the only type of electronic signature that is recognised as legally acceptable. The partnership with ARX offers our customers a legally compliant solution for digitally signing documents which can then be seamlessly integrated with their Electronic Document Management system,” says Van der Merwe. “Digital signatures have become increasingly necessary in today’s international and local business world, as companies strive to automate and streamline their systems. These include local government and financial services businesses, one of which has been able to reduce their customer on-boarding process from a time-consuming paper-based system taking 5 to 7 days down to 40 minutes. CoSign Click therefore provides a slick alternative to what has historically been a paper-intense and inefficient process. This requires no printing or scanning, does not waste time, and essentially provides an end-to-end solution which completely digitises the customer on-boarding process. “Form-filling can be a very cumbersome process, for both companies and their customers. In the light of this, our collaboration with ARX offers South African businesses very real and tangible benefits. We offer companies a quick, safe and efficient system that we believe will transform the way in which many organisations interact with their customers – which in South Africa has historically been a very paper-based business culture. “Pitney Bowes SA has helped companies for many years to enhance their customer communications capabilities. Part of Pitney Bowes Incorporated – the global business solutions provider – Pitney Bowes SA is at the leading edge of digital signature technology in this country,” Van der Merwe concludes. Pitney Bowes South Africa, a leading provider of customer communication solutions, in partnership with ARX Cosign, the market leader in digital signature technology, has launched a powerful, integrated solution which streamlines and digitises document signing processes. This new, ground-breaking technology – called ‘CoSign Click’ – is set to revolutionise how companies ‘on-board’ new customers. This is achieved through the elimination of the cumbersome and time-consuming manual process of printing out forms, signing in pen, scanning and uploading or emailing the document. Leon van der Merwe, Business Development Manager at Pitney Bowes South Africa, explains: “Co-Sign Click is a digital signature solution which enables a company’s customers to sign on-line documents and forms electronically without them requiring a digital signature or any hardware signing device. “Until now, signing electronically with a digital signature was only available to licensed subscribers of digital signature applications. This new technology is great news for companies requiring customers to provide a once-off signature on a document or form.” Pitney Bowes is the first company to introduce CoSign Click to South Africa, and is excited to introduce the numerous benefits of digital signature technology to local businesses. “In South African law there are certain statutes that require a signature before a document can be considered valid. If this signature is to be applied electronically, the Electronic Communications and Transaction Act of 2002 refers to an ‘Advanced’ Electronic Signature and is the only type of electronic signature that is recognised as legally acceptable. The partnership with ARX offers our customers a legally compliant solution for digitally signing documents which can then be seamlessly integrated with their Electronic Document Management system,” says van der Merwe. He explains how it works: “There are three areas in which the technology ensures compliance, which we refer to as the three ‘I’s’: intent (to sign), identity (of the signer) and integrity (of the document). After a person electronically signs a document the content of the document is protected. If changes are made to the signed document, the signature will no longer be valid.” “Digital signatures have become increasingly necessary in today’s international and local business world, as companies strive to automate and streamline their systems. These include local government and financial services businesses, one of which has been able to reduce their customer on-boarding process from a time-consuming paper-based system taking 5 to 7 days down to 40 minutes. CoSign Click therefore provides a slick alternative to what has historically been a paper-intense and inefficient process. This requires no printing or scanning, does not waste time, and essentially provides an end-to-end solution which completely digitises the customer on-boarding process. “Form-filling can be a very cumbersome process, for both companies and their customers. In the light of this, our collaboration with ARX offers South African businesses very real and tangible benefits. We offer companies a quick, safe and efficient system that we believe will transform the way in which many organisations interact with their customers – which in South Africa has historically been a very paper-based business culture. Pitney Bowes SA has helped companies for many years to enhance their customer communications capabilities. Part of Pitney Bowes Incorporated – the global business solutions provider – Pitney Bowes SA is at the leading edge of digital signature technology in this country,” van der Merwe concludes. New, ground-breaking technology – called “CoSign Click” – is set to revolutionise how companies “on-board’” new customers. No cumbersome and time-consuming manual process of printing out forms, signing in pen, scanning and uploading or emailing the document. In South African law there are certain statutes that require a signature before a document can be considered valid. If this signature is to be applied electronically, the Electronic Communications and Transaction (ECT) Act of 2002 refers to an “advanced” electronic signature (AeS) and is the only type of electronic signature that is recognised as legally acceptable. There are three areas in which the technology ensures compliance: three “I”s: intent (to sign), identity (of the signer) and integrity (of the document). After a person electronically signs a document the content of the document is protected. If changes are made to the signed document, the signature will no longer be valid. Digital signatures have become increasingly necessary in today’s international and local business world, as companies strive to automate and streamline their systems. CoSign Click provides a slick alternative to what has historically been a paper-intensive and inefficient process. “No printing or scanning, just a digital process”, said van der Merwe . CoSign is said to be the most widely used digital signature solution. In 2013 it was recognised as “the strongest digital signature solution” in the Forrester Wave: E-Signatures report. Millions of people at large enterprises, SMBs, governments and cloud services around the world use CoSign every day on their computers and mobile devices to easily add secure digital signatures to documents in Word, Excel, PDF, SharePoint, OpenText, Oracle, Alfresco, Nintex, K2, and many other applications and file formats. CoSign Click is an add-on component to collect digital signatures from partners, customers and other external parties. Documents that need to be signed are exported directly from existing workflows and securely sent to any external party from the CoSign Click interface. A web-based mobile-ready application is used to sign the document and back directly into the sender’s document management system.